Enjoy a glass of wine, beer cocktail or non-alcoholic beverage from our in-studio bar. 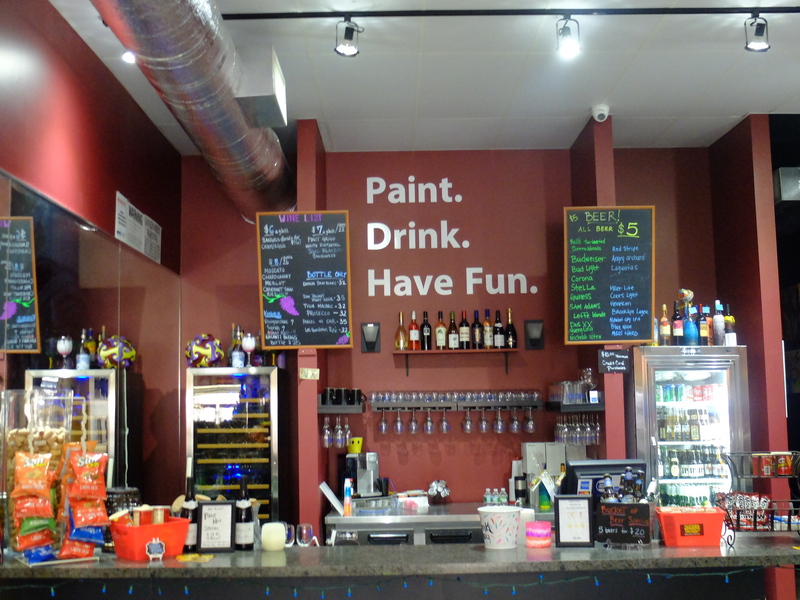 After all, it is called Paint and Sip! DIRTY PAINT WATER – The paint water you CAN drink! STARRY RITA – A margarita Van Gogh would be proud of. Stick to the theme, don’t-cha think?